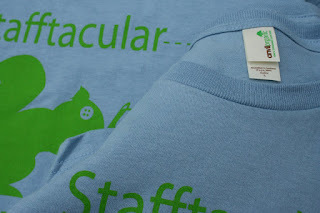 Today we got our Stafftacular Tshirts for the Eco Chic Craftacular next weekend. 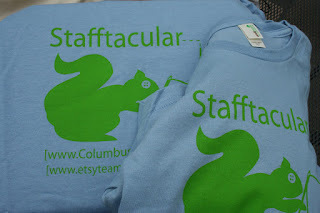 American Canvas Printing did a fabu job! I love the blue and green together! What a wonderful combination! only the best from American Canvas! The customer service and color advise was the best!! thanks ladies! Hello! I stumbled across this blog and found it very interesting and exciting. The photos and colors cought my eye immediately and made me very interested in the content of the text.